You'll hear or read this idea in relation to Roulette 'systems' that are based on the idea that if Black has come up four times, it must be 'time' for Red. It's a commonly held belief, but it goes completely against the laws of probability. For any action, the total probability of all possible results is 1. Some sequences of results may be much more likely to occur than others, but any event CAN happen. e.g. it's possible that a coin tossed 4 times will result in 4 'Heads'. The odds for this are 1/2 x 1/2 x 1/2 x 1/2 = 1/16 (or 0.0625 or 6.25% or 15-1). Before a coin is thrown, the odds against throwing 4 Heads is 1/16. After 3 throws, the temptation is to think that because we've already had 3 Heads, the chance of the next throw being Tails is 15/16. Many gambling systems work on this fallacy. To explain why this is wrong, understand that the odds of 3 Heads coming up is 1/8 (1/2 x 1/2 x 1/2). After 3 throws, the odds of Heads coming up again is the same as it ever was i.e. 1/2, the same as the next throw being Tails. The work has been done, so to speak, in getting to 1/8. 1/16 is simply 1/8 x 1/2. To put this in layman's terms, the odds of spinning 20 consecutive Tails is 1,048,576 - literally a million to one. If I had spun 19 Tails and asked you to place a £1000 bet on the next spin being Heads, would you think the odds were a million to one in your favour, or 1 in 2? If you think the answer is a million to one in your favour, please contact me immediately with your bank details! Just because an event hasn't happened for a while, it ISN'T more likely to happen now. 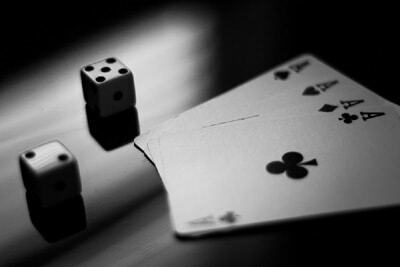 The Gamblers Fallacy is engrained in our gambling psyche - precisely because it seems counter-intuitive. But results like coin tosses and Roulette spins have no memory - the past can't influence the present. You're welcome to not believe this, but it may cost you to find out the truth!